Amongst the nasty goings-on involving Jared Kushner, Trump, and Saudi Arabia’s Little Brother, the UAE, let’s add another: in the infamous incident in which Israel sought to derail the UN Security Council resolution condemning Israeli settlements, it actually threatened the Obama administration. Israel’s ambassador Ron Dermer approached an unidentified member of the Obama team and warned that he knew Obama was orchestrating passage of the resolution (although in the end we abstained in the vote). He warned that this left Israel with no recourse but to turn to the Trump team, which was in the midst of the presidential transition. Dermer warned that he would approach Jared Kushner and seek his help, which is precisely what he did. The reason this is important is that it places actions of the Trump transition team in seeking to sabotage the resolution in an entirely different context than previously. Now we know that Trump and Kushner acted expressly at the behest of the Israeli government. As they both did so when they were still private citizens, that puts them squarely in the sights of the Logan Act, which bars U.S. citizens in their private capacity from pursuing foreign policy on behalf of a foreign government. As I’ve written before, this puts Kushner squarely in violation (and perhaps Trump too). He would be the first American charged under the act in nearly 200 years. For that reason alone, it’s perhaps a stretch that Mueller would charge him under this law. But real, hard evidence points to this as a clear violation. Partly because I’m fond of antiquated laws that find new relevance in a contemporary context, I’m hoping that the special counsel breaks tradition and goes for it. This would also be the first time any American citizen would be charged as being a lobbyist on behalf of Israel. But not just any old lobbyist. After all, Aipac is an entire organization that exists as Israel’s prime lobby. This case would be lobbying by Kushner in contravention of U.S. foreign policy (which was either to support or at the least take no position on the UN settlements resolution). It would also reinforce the point often made by Israeli government critics, that Israel and the U.S. do not have the same interests. That in fact those interests often diverge and that any American Jew who chooses Israel’s interests over Israel’s is guilty of dual loyalty. I think that deeply merits prosecution. There are huge sums of money greasing various palms as part of the new Sunni Gulf bromance with Israel, which both Netanyahu and Crown Prince ibn Salman (MBS) are pursuing with a vengeance. This mutual admiration society began in earnest when the Saudis sunk $1-billion into Israel’s plan to assassinate Iranian nuclear scientists and sabotage its nuclear facilities; a project in which the Obama administration participated enthusiastically. Though journalists like Ronen Bergman claim that the Israelis didn’t enlist U.S. support for the assassination part of the program, perhaps they didn’t have to. Seymour Hersh wrote in the New Yorker that American special forces trained Iranian MeK terrorists to do precisely these sorts of operations at a secret Nevada facility. Though supposedly foreign governments cannot contribute directly to U.S. election campaigns, there are hundreds of ways in which they can grease the palms of their favored candidates without making direct cash contributions. That is precisely what Mueller is investigating now. Chief among the suspects are Russia and the UAE, the latter one of the Saudi-Gulf allies. The NY Times reports that the special counsel is showing great interest in a three-way meeting in the Seychelles just before the inauguration among Erik Prince (of Blackwater infamy), supposedly representing the Trump transition, a Russian oligarch (there on behalf of Putin) who controlled a Russian infrastructure investment fund into which the UAE had sunk billions, and the UAE’s crown prince. George Nader, a Lebanese adviser to UAE’s leaders, was there and has been ‘singing’ to Mueller. Media reports say that UAE, which had close relations with the Russians, brokered the meeting so that Jared Kushner could develop a back-channel to the Russians that circumvented the Obama administration and the State Department. All this occurred, once again, before Trump became president. Therefore it represented yet another method of sabotaging the declared foreign policy interests of our government. Further, we do know that when Prince returned home he met with high level Trump officials including Secretary of Defense Jim Mattis and national security advisor H.R. McMaster, and pressed them to privatize its military efforts in Afghanistan (and presumably other Middle East hotspots) under Prince’s auspices. His business partner in this adventure, Steven Feinberg (he, of Cerberus Capital), met with the president himself to pitch this idiocy. Prince’s self-interested puffery was given an airing on the op-ed page of the Wall Street Journal (where else?). More surprisingly, Prince had the opportunity to toot his own horn in the New York Times op-ed page thanks to the unerring “editorial judgment” of James Bennett, who also gave Times’ readers the ‘fine journalistic stylings’ of Bari Weiss and Bret Stephens. How does such a murderous charlatan get the opportunity to spread his nonsense over not just one, but two major national newspapers? The U.A.E.’s rulers, viewing their own military as inadequate, also hope that the troops could blunt the regional aggression of Iran, the country’s biggest foe, the former employees said. Think of that: Erik Prince has raised an army for a foreign state which could conceivably wage war against its enemies. One of those enemies, Iran, has one of the most powerful militaries in the region. If Prince’s mercenary force goes to war against Iran, it could easily drag the U.S. into the mire as well. “He [the crown prince] sees the logic of war dominating the region, and this thinking explains his near-obsessive efforts to build up his armed forces,” said a November 2009 cable from the American Embassy in Abu Dhabi that was obtained by the anti-secrecy group WikiLeaks. In fact, Prince is probably hoping that it will lead to wider conflict. It will provide him with further opportunities to enrich himself and his business partners. UAE also has developed close relations with Israel’s rulers. As early as 2012, Bibi Netanyahu held a secret meeting with UAE’s foreign minister at which they agreed about their mutual hostility toward Iran; but did not see eye to eye on the Palestinian question. 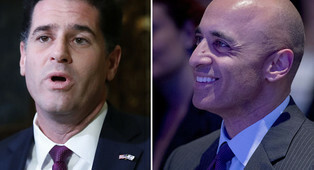 Israel’s ambassador to the U.S., Ron Dermer, has developed an especially close relationship to the Gulf state’s controversial ambassador, Yousef Otaiba. Leaked e mails hacked from Otaiba’s account show his equally close relationship to the neocon/pro-Israel Foundation for the Defense of Democracies. FDD’s goal was to identity and shame companies doing business both with the Gulf Sunni alliance and Iran. Among the other subjects the two have discussed is sowing internal discord inside Iran via cyberwar tactics and supporting dissident groups. They also commiserated over the “threat” posed by Qatar, specifically Al Jazeera. It’s no accident that one of the main subjects of the suppressed Al Jazeera documentary on the U.S. Israel Lobby was FDD’s exceedingly cozy relationship with the Israeli government, which may violate U.S. lobby laws. Otaiba also shares a close relationship with Jared Kushner (surprise!). The latter was introduced to the UAE official by another wealthy Trump confidant, Tom Barrack. Kushner used Otaiba as a resource to help him get up to speed on the Arab world, with which he had no experience before entering the White House. This “education” of course offered Kushner a perspective filtered through lens of the Sunni-Gulf alliance. The Trump administration, the Gulf alliance and Israel have formed a relationship of convenience against their mutual arch-enemy, Iran. The problem with this is that once you’ve chosen your bedfellows you’re drawn into their own internecine battles, like the Saudi split with Qatar, which may have nothing to do with your own interests. The mark of a truly great leader (remember George Washington’s warning against “entangling alliances”?) is that you consider your foreign policy options and alliances carefully. You engage to the extent you must. But you do not engage to the extent that you begin to lose sight of what your own national interest is. In allying themselves with the Saudis against Qatar, both Israel and the Trump administration are doing precisely that. Kushner would be the first American in this Nation’s history to be convicted of violating the Logan Act….and than, his father-in-law, the President, will issue an Executive pardon. Signifying nothing and wasting valuable time and money. Israel’s policies under Netanyahu, but also earlier of course, have been so disastrous that the country as a whole “struts and frets its hour upon the stage and then will be heard no more.” There was a real chance for a solution at the beginning of the Oslo accords, but that was a long time (and many unnecessary murders of Palestinians) ago. Out, out, brief candle, may very well be the fate of the Jewish state. Israeli voters are blind. This Trump play has too many characters and subplots with no promise that our brief time on this earth will find rewards in stretching to comprehend this all in detail never mind draw sense or conclusions other than very broad ones at the moment about people with power,power clawed into, enabled, inherited, working for their own self serving ends at the expense of everyone else. But I try. Putin is screwing the world over and on top getting lauded by red hair, AND BIBI. what has hapless Iran done to harm ANY OF THE 3 . nothing except hire a bunch of spies, WHILST PUTIN HAS DESTROYED DEMOCRACY. DESTROYED NATO, GRABBED THE MIDDLE EAST , (whimpy bibi thought master putin would pay attention, hardiharhar, putin does what putin wants. so keep on keeping on, bright bibi, keep wasting money on hapless iran, while putin lets assad destroy half a country and the other star erdogan destroy the other half. whilst bibi bribes some lonely dreamers in syria. thanks to bibi and aipac he made it possible for the republicans to take over and DESTROY AND SKEWER THE ENTIRE WORLD. YES IT IS BIBI AND ONLY BIBI’S FAULT FOR XI NAMED DICTATOR FOR LIFE, AND DESTROYING THE ENTIRE USA. sad heartbraking, same as the new orthodox law to make equivalent sitting on a chair for 4 years while eating cheetos and taking a gun and point it to some vanishing hizbollas soldier. and the sadest part they believe it and sadder they are willing the burn (literally) the whole country in order to get it. RE: “Otaiba also shares a close relationship with Jared Kushner (surprise!). The latter was introduced to the UAE official by another wealthy Trump confidant, Tom Barrack” ~ R.S. @ Dr. John: Not so fast Shakespeare: Once Trump issues that executive pardon he’ll be well on his way to impeachment. If not that, then Democrats will likely develop a spine they haven’t had in years and throw a wrench in the legislative process bringing the government to a halt. Being president is not a get out of jail free card. Someone has to pay eventually if the president is the one committing the crimes. @ n. dayan: Can we please keep Russia out of this? I don’t want to get sidetracked into a debate about whether, or how badly Putin is screwing the world. As I wrote regarding earlier comments by another commenter, it’s off-topic. The issue of Russia’s role in the Middle East is on-topic. The other stuff isn’t. “and many unnecessary murders of Palestinians” – so easy for you to forget the many buses that were suicide bombed by Palestinian terrorists. impeachment – you have been predicting that for over a year now. @ Ariel Koren: Never ceases to amaze me how racist Israelis Jews like this one forget that six times more Palestinians have been killed by Israelis than the reverse. So if you line up all the Israeli buses blown up by Palestinians, multiple by 6 or 10 or 100 & you’ll reach the equivalent number of Palestinians killed by Israeli forces. You’re confusing me with someone else. I’ve barely mentioned impeachment, though I would welcome it. However, it’s unlikely for many reasons until Trump does somehting truly, blatantly outrageous & illegal. He isn’t my president. And America did not “vote for Trump.” In fact, he lost the popular vote by 3-million votes. I’d suggest American politics isn’t your strong suit (nor is hasbara) and that you stick to something you know better. And add to what Richard wrote, the fact that Israel calls the shots in every way: If it had wanted to compromise it could have many times. The Palestinians, on the other hand, have done nothing but compromise, much more than should ever be asked of an ethnically cleansed and colonized population, but nothing they offer is accepted, because Israel knows it has the US in its pocket. The fault of ALL the killings lies entirely with Israel and its unwillingness to offer the last scraps of the area they invaded to the colonized. So yeah, sorry, but I give the stage to the Palestinians that are murdered. Get over it.